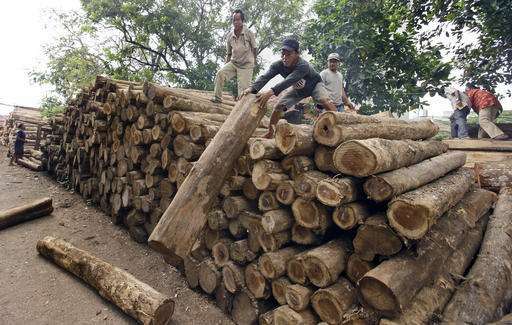 The European Union has admitted Indonesia to a special licensing system it hopes will prevent the illegally felled tropical timber that makes up a substantial part of the country's wood production from being shipped to the 28-nation bloc. The EU said Thursday that Indonesia is the first country to qualify for the licenses. 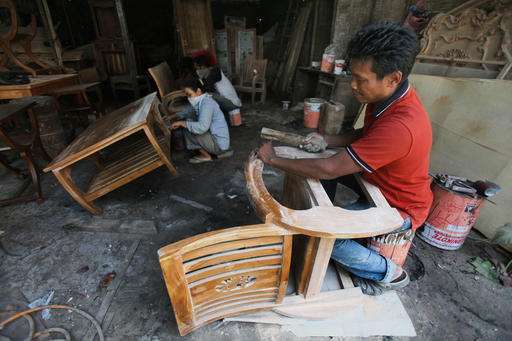 It will mean that traders of goods such as wooden furniture, plywood and paper that earn the certification will find it easier to do business with Europe. The EU has been trying to implement its timber system internationally for over a decade and over the same time Indonesia has developed its own legal wood verification scheme that has become a key part of its admission to the EU's program. "We do believe the system is credible," said Charles-Michel Geurts, deputy head of the EU mission to Indonesia, who emphasized the lengthy process to establish it reflected substantial effort in countering deep-seated problems in Indonesia's forestry industry. "But today is the start date, not the finish." Indonesia has struggled for years to combat illegal logging that destroys the tropical forest habitat of unique animal species and deprives the government of significant revenue that could be used to improve basic services for a largely poor population of more than 250 million. 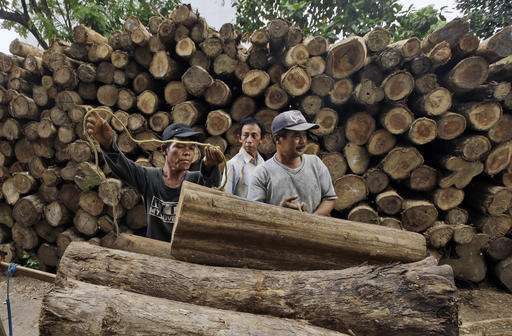 A study by the country's anti-corruption commission estimated that the commercial value of undeclared logging amounted to $60.7 billion to $81.4 billion between 2003 and 2014. The study released in October last year said official statistics on timber production capture less than a quarter of what is cut down. Fires deliberately set by agricultural conglomerates and small-time farmers to clear forests and peatland for plantations also contribute to deforestation and are responsible for the unhealthy haze that chokes a swathe of Indonesia and neighboring countries each year. Under the EU system, Indonesia will be able to issue the special licenses to producers using timber that it believes complies with environmental, social and economic laws. Third party certifiers issue the licenses and the overall process will be monitored by environmental groups. Indonesia will be able to issue the licenses from Nov. 15, the EU announced Thursday. 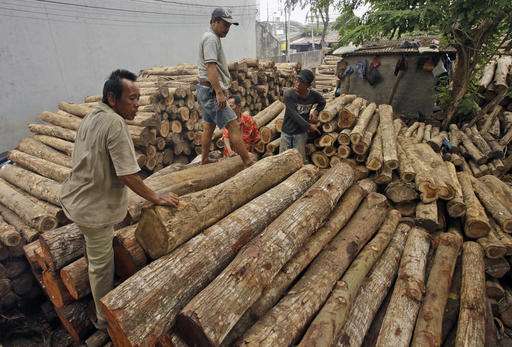 Christopher Barr, executive director of Woods & Wayside International, said a "critical weakness" of Indonesia's timber verification system is that it largely focuses on administrative compliance and falls short in the area of field checks, including surprise inspections, to ensure logs are harvested from fully legal areas. The system was designed to audit timber from selective forestry concessions but in the past decade increased volumes of wood have been produced through the clearing of forests for palm oil and pulpwood plantations and other uses, he said. 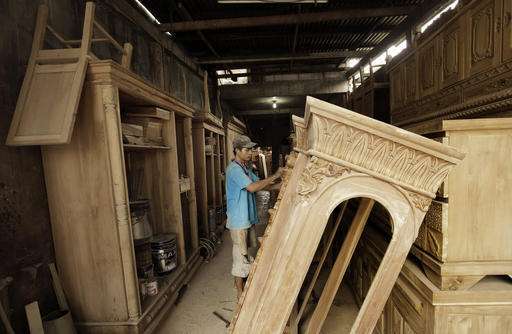 Lafcadio Cortesi, Asia director of the Rainforest Action Network, said it may be premature for the EU to create a "green lane" that expedites the export of Indonesian timber and timber products. Deforestation in Indonesia often goes hand in hand with human rights violations such as companies grabbing the traditional lands of communities, he said. 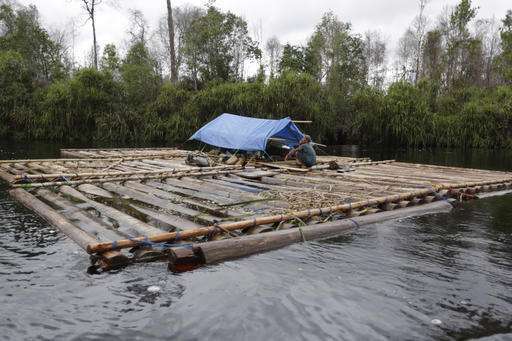 The scale of illegal and unreported logging in Indonesia could be beyond the scope of civil society groups and others to effectively monitor and when violations are identified, the process for dealing with them is cumbersome and lengthy, he said. "There is not adequate capacity in the system," said Cortesi. "The government has had to contract out auditing." Earlier this month, a palm oil company held captive seven officials from the Ministry of Environment and Forestry who had visited its plantation as part of an investigation into forest fires. Mardi Minangsari from the Independent Forest Monitoring Network, which is involved in checking companies' compliance with legal timber requirements, said the system is not perfect but can be refined and improved. 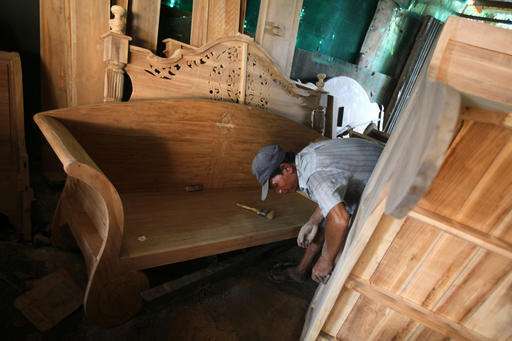 The environment and forestry ministry has demonstrated its commitment to reform with more than a decade of effort to tackle the illegal timber crisis, she said. 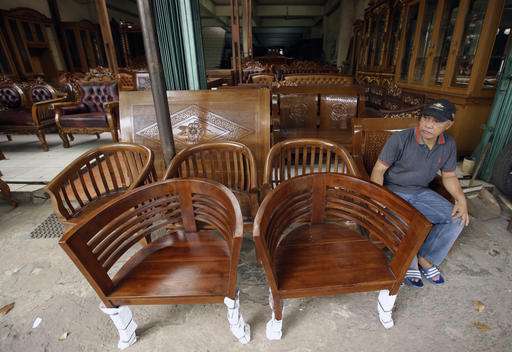 A potential loophole stems from the wood furniture industry in Java, which comprises many small-scale producers who use wood from private forests that can be as small as a hectare or two, and get less scrutiny. Larger companies could abuse that by representing products as coming from small producers, Minangsari said. "Implementation is the biggest challenge," she said. "If the government is not really hands on, they can blame the third party certifiers" for any failures. Europe is already an important market for Indonesian wood, buying about a third of its tropical timber shipments and more than a tenth of its paper and other timber products. A study in the journal Nature Climate Change estimated that by 2012, Indonesia was clearing 840,000 hectares of forests a year, more than any other country. In 2014, it renewed a moratorium on new licenses for logging in virgin forests but deforestation has continued largely unabated.